For the third time, my husband Donnie and I were making a foray into Holmes County, Ohio, home to the second largest population of Amish families in the United States. 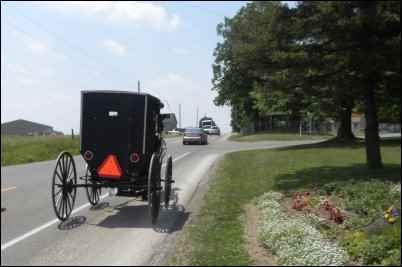 To enter Amish land is to leave the “fast life” behind. No plastic franchise box stores crowd the crossroads. The byways are narrow, bordered on both sides with corn creeping out to the verges and two-story, white houses—distinctive for the lack of electrical lines running to them. Navigating the thin ribbons, dodging grey buggies, one quickly feels lost, in a pleasant Twilight Zone sort of way. So, though we had been there before, and though Donnie, a former trucker, can usually recall any route he has previously taken especially if there’s a hot dinner at the end of it, we gradually realized we needed help to find an eatery. So we pulled off on a small triangle of cleared land at the edge of a dense stand of corn, where a young Amish woman had parked her buggy and was selling handmade baskets. Taken in combination, these statements conveyed to me a sense that the young lady (I am guessing she was no older than twenty) had a high value for honesty, modesty, and human kindness. We later had similar assistance from a teenage girl in an Amish-run plant nursery—a very literal interpretation of our needs, a determination to be sure we were satisfied. Naturally we wanted to buy some of the buggy girl’s wares to repay her gracious assistance, but I had been discreetly eyeing the Amish-made baskets and found that we could not afford even the smallest one, especially with a home back in North Carolina embarrassingly full of gew-gaws. However, she was also selling square cardboard punnets of black raspberries. We bought one punnet for three dollars, and I later regretted we had not bought all she had. The berries were fresh, ripe, not a single spoiled one hidden in the bottom—quality through and through. I popped about a dozen as we followed her directions to “Mrs. Yoder’s Family Restaurant” where we had such a lunch as gastronomic dreams are made on, served by pretty young misses in starched white head coverings and long aprons. We noted that among the customers were many Amish or Mennonites distinguished by their somber apparel. Not for the first time, I was under the Amish spell. A trip to Lehman’s Store is de rigueur when visiting Holmes County, and at the check-out counter I saw a newspaper called The Budget, on sale for a dollar (no tax). 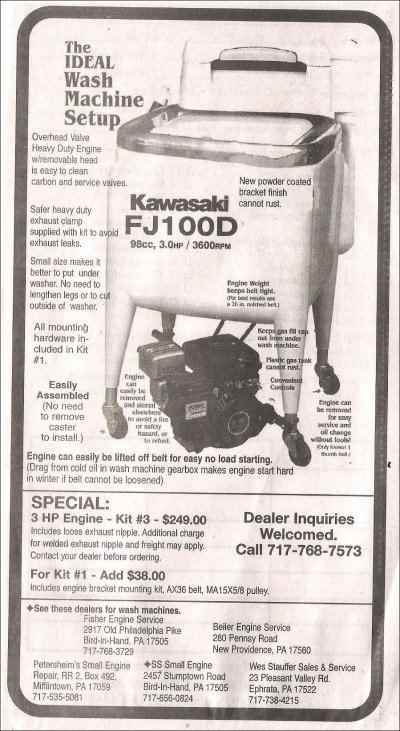 I plunked down four quarters, little knowing what a treasure I had just procured for so small a price. For most of the rest of the day I read through The Budget, regaling Donnie with its contents. By the time he got to read it himself, I feared he might be jaded by my enthusiasm, but he was as enchanted as I. The part of the paper that most intrigued us was a full 40-page section known as “The Letters.” They came from 34 states and Canada, the Dominican Republic, Belize, Israel, Ukraine, Honduras, Liberia, Haiti, and Guatemala—places where the Amish and Mennonites, commonly known as Plain People, have chosen to hang their flat black hats and fulsome hand-sewn bonnets. 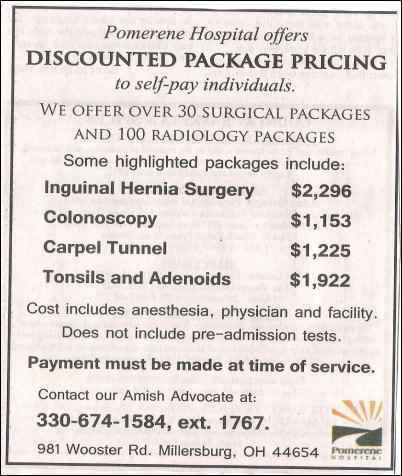 According to P. J. Huffstutter, writing about Holmes County for the Los Angeles Times (September 20, 2009), all the letter writers, known as scribes, are volunteers, their “pay” coming in the form of a yearly subscription to The Budget ($42.00, and worth every penny). Most of the contributions arrive at the newspaper office in Sugarcreek, Ohio, handwritten, some delivered by buggy. Though the paper reports on all local county events among non-Amish and Amish alike, the Letters are like tiny beacons held aloft to be seen from outpost to outpost all over the Plain world, a slow world within our own fast one. Huffstutter reports that The Budget has refused to “progress” into the realm of online advertising (though it does maintain a modest website), and the ads one sees peppered through the pages are as plain as the people to which they’re targeted. 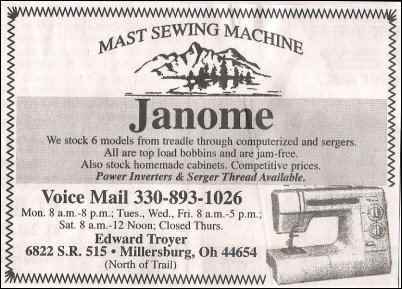 One such ad screams, “Quality Amish Spectacle Frames—Great Price” and another raves “Heit’s Wholesale—Full Line of Elastics, Buttons, Stretch Lace, Plastic Snaps, Metal Snaps, Raschel Lace, Venise Lace, Full Line of Various Ribbon.” To peruse the ads is to step back into a simpler era. In the July 7, 2010 edition of The Budget, there were more than 600 letters. And every week there will be at least 600 more. By the time we got home to North Carolina I had not finished reading half of them. They were riveting. By studying these letters, I was convinced, one could learn more about the path to simplicity than by watching a TV special or renting a DVD promising sensational revelations about the secretive Amish. This was news from the field: hand-written, sincere, unvarnished by fancy journalistic technique. For someone who is constantly mining the media for well-told tales of rural life, this was the mother lode. At this point, it’s probably appropriate for me to confess that I once worked for Mennonite Central Committee for a year, in Kenya. While working in Botswana for Quakers—not exactly slackers in the vineyards of community development—I was quietly informed that Mennonites were the real heavy haulers in Third World agricultural initiatives. The Mennonites, be they of plain dress or modern attire, were dedicated to restoring the soil and, by daily example, restoring to peasant societies the joy of the dignity of farm labor. I determined that my next overseas assignment would be for Mennonite Central Committee, which sometimes hires Quakers with whom they are doctrinally aligned. It took a few years and an eye-opening two-week orientation in Lancaster County, Pennsylvania to get that dream off the ground. The year I spent in Kenya—deserving of its own campfire tale—I would not trade for two spent in safe, manicured streamlined Western luxury, no matter what the salary differential. We were poor, poor like the Maasai we worked among, and we were guided in our daily determination to exist at their level by the Mennonite principle of Gelassenheit: a wonderful Amish/German word meaning, “putting oneself below the higher.” Gelassenheit, according to noted Mennonite scholar Donald Kraybill, is the essence of the Amish way. It informs the culture at every level, from the most extreme Old Order Amish to the very blended and modish Beachy Mennonites who set the standard for fastness among the voluntarily slow peoples. Gelassenheit is the reason why The Budget has not given in to the demands of the market place to develop online ads, and why the Letters are still written by hand and delivered by the Buggy Express, trotting along at a rate of about 25 miles per day, a vital symbol of Amish stubbornness and refusal to let modern inventions get in the way of their ancient principles. I’ll get off my soap box for a moment, and let the Letters speak for themselves. Brighton, IA: The rains continue. There’s not much more to say. It doesn’t just rain several times a week anymore, it’s several times a day. There is no “mood” left anymore to think about farming. So I guess we’ll see what the Lord has in store for us until we reach another planting season… [neighbors] dumped their 2nd plantings of zucchini and the first of the melons in the ditch as they were getting too large to transplant and field is too wet to plant in. They are harvesting of their first planting; though as I’ve heard of several occasions when they have been sent to Kalona and delivered to other produce growers. I imagine they end up in Chicago but haven’t asked. Clark, MO: The heat is on! We’ve had a few days of 100º weather and some pretty warm nights, although last night it cooled off again. The first cutting hay is close to being all put up and corn is still being planted. The whooping cough is in the area and seems like some who have it aren’t staying home, so it is being spread pretty far. Seymour, IA: I finally found a spray material that took care of the potato bugs for good. Saturday people were mowing hay. Others were hauling in what was baled. Still others were tedding, raking and even baling for wet wrapping. Combining has started. Crop spraying is being done and the last of the silage corn is being struggled in. Bean fields are coming up with volunteer corn. Oh, my Round-up ready corn in Round-up ready beans. But the chemical companies have come up with a product that kills the corn but ? the beans. Viola, AR: A Carolina wren started building a nest behind 2 heads up hanging brooms that get used, so we turned those around. And by mid-afternoon they had a nest built in a paper bag with tulip bulbs stored inside which was setting beside a door we constantly walk past. Setting the bag up on the refrigerator out there…didn’t disturb them very long and there are eggs in already. They have such a loud warble for such a little bird. Centerville, IA: John Shrocks were to a wedding in Mich. And were close to or among a tornado while traveling. One of their sons was kicked by a horse soon after they left on on Mon. But they just left it as he didn’t really suffer any pain so not until Thurs. did they have it x-rayed to find the elbow is broken and is now in a sling. It has really swelled up from just hanging down. Conneautville, Pa: Some of the youths helped Leland Yoder load straw on Thurs. evening. They were served supper afterwards. Friday afternoon the ladies gathered at church to clean the basement in preparation for the widows’ supper this week. Centreville, MI: We heard of the accident of Neal Dean Bontrager and family recently. It was sundown and the driver of the car did not see the buggy ahead of him in time to miss, though had time to swerve and just hit the one wheel. The double buggy was hit so bad it laid on its side, badly damaged. The family escaped serious injury, but some were hospitalized and released same night. They have some sore bruises. Orchardville, Il: We were to help at Devon Miller’s place last Sat. where he had tornado damage. The barn which he had built new in 2005 was mostly taken down by hand. Blocks were re-laid where they were shifted, rafters repaired and lots of material from the barn was picked up in the bean field east of the barn and window panes were cleaned up ready for new glass. They had help Thurs. and Fri. too so supper was served by the church. Upton, Ky: John Miller’s baby is doing as good as can be expected. They had her setting in a box while unloading hay beside their hay mower. Somehow the evener caught the mower and the horses that they were using to pull the hay up. They pulled the mower wheel on top of her head. She was in Children’s Hospital a couple days in Louisville. She had several bones broke in her face and skull fracture. She is around six months old. Jasper, NY: Well, my work is cut out for me today, literally, and that is baby nighties to sew! Also ironing to do, check on the family down the road while mama is not home yet with the new baby, and all the other things that grannies do while everybody is thinking, “Grannies don’t have much to do.” I say, “You just wait til your turn comes.” Ha. The way the neighbor’s laundry is blowing and drying it just might be a drying day for hay too. Aylmer, Ontario, Canada: A few miles north of the community is a farmer that has a small herd of buffalo. I think there was a bull, five cows and three calves. One night last week, someone apparently opened the gate and in the morning… all the buffalo were gone! They spotted them not too far away (all except the bull) and herded them into Joe Stoll’s barn or loafing area where they keep the horses during the winter time. Double Head Cabbage, Belize: James and Mary Ellen Stolzfus and family from Pa. will be moving [here] on Tuesday. Being dropped into a unit, church and different culture and becoming the person bearing the brunt of responsibility is not exactly what I would call fun. May God grace them with patience (with themselves more than anything). The adjustments simply take time. One can’t help but admire the honesty of these writings. Admirable above all is the sense of true community expressed again and again, from the men rebuilding a neighbor’s barn to the women cleaning the church for the widow’s meeting and the boys loading straw for a neighbor. A granny checking on the neighbor’s children is simply taken for granted, as is pitching in to find and herd up some missing buffalo for a non-Mennonite neighbor (sounds like that was kind of fun, too, for the men-folk). These values are not totally lacking in other communities, but I have seen an ambulance come and go from my neighbor’s house just across the road and waited several days to stop in and ask why. I’m betting there is no delay in offering comfort and expressing concern among the Amish/Mennonites, even for friends who live quite a distance away. 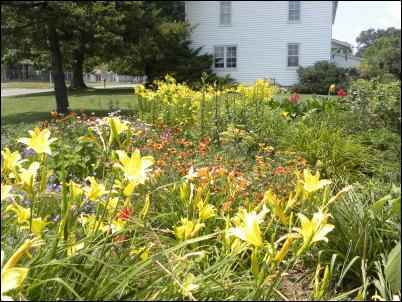 Love of birds, of plants, of nature is writ large in “The Letters.” The Amish women do lawn maintenance and try not to take pride in their beautiful flowers (the Gelassenheit again). My husband is a bird lover, yet he disdains the notion of feeding the birds, for fear they will become dependent on us for sustenance. To the Amish, by contrast, encouraging birds to stick around is not just an enjoyable pastime, but a sensible intervention in the natural order, a way to ensure that seeds get dropped where needed. Birds are funny — and they help make good honey. And of course, the good works of Mennonites overseas are undeniable. Both as missionaries and as colonized farmers, they bring their gentle sharing way with them. And the Amish travel constantly! As much as half of The Letters are taken up with who visited whom. Amish honeymoons consist of visiting far-flung family; they travel overseas to visit friends in missions or for a working vacation; and they travel for the quiet, slowed-down pleasure of it. No Amish and a minority of Mennonites own automobiles, so the question of Amish travel is among the many issues examined in detail in Donald Kraybill’s seminal work The Riddle of Amish Culture. But… there were things in the Letters that disturbed me. Why is life without electricity and other ills of modern society so dangerous? And why were children so often the ones who suffered in accidents? And why was it okay to go to see the doctor for an emergency, but not for chronic ailments, not for whooping cough? And why do the Amish get whooping cough? No immunizations? The more I thought about these and other issues, the more I realized I would need to delve much deeper into the culture, by whatever means, to find answers to the more complicated questions about the Plain People. Another trip to Holmes County was certainly in order…..